As Badgerys Creek Airport in Sydney moves closer to a reality the selection of concrete for the runways provides outstanding benefits. Concrete is frequently chosen for the terminal aircraft standing areas and taxiways as the heavy wheels of slow moving international airplanes demand a tough concrete pavement that is aviation fuel resistant. In addition the runways will also need a tough, durable material that will give Sydney the international airport it deserves. 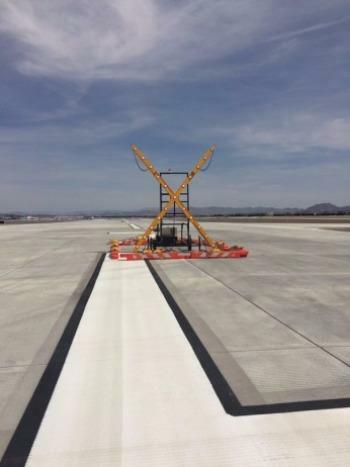 Internationally, concrete is being selected to build world class airport runways, and as one example, Las Vegas International Airport (McCarren) recently re-constructed its fourth concrete runway replacing an old aging asphalt model. Now it has a total of four runways all in concrete. 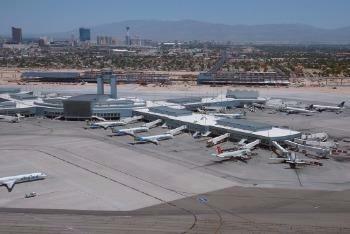 By comparison Las Vegas is the 26th busiest international airport compared to Sydney as the 38th. As Sydney grows, and its airport volume increases, it needs the concrete hardware for its international gateway to compete in the big league. Badgerys Creek airport is an investment in the future of the city and it deserves the best. Las Vegas airport is a great learning lesson for Sydney and an excellent comparison for international runways. Las Vegas has four runways: three were and still are concrete with the fourth originally built in asphalt – a perfect comparison for the two competing materials. The asphalt runway came to the end of its life and after observing the cost and performance of both materials first-hand, the airport authority chose concrete as the replacement for asphalt. The new concrete runway at Las Vegas is called 25R/7L and is now open for business. Its length is 4,423 metres long and this is slightly longer than the current Mascot Airports main North South runway at 3,962 metres. During the replacement period the runway was still selectively available and operational to air traffic. Replacement of the asphalt runway cost US$65 million. Reconstructing the runway of a fully operational airport has its challenges and is far more expensive than building it properly in the first place – and this is a very salient point for Badgerys Creek when we have the luxury of building a brand new facility from scratch. Sydney Airport is a $15 billion engine for the economy of Australia acting as the gateway for tourism, business and trade. Last year 40 million passengers passed through its gates and moved 450,000 tonnes of air freight with its runways managing over 300,000 aircraft movements. Badgerys Creek will take on a significant role as a destination for international air traffic for Australia and the demand for a world class runway system is paramount. As Australia’s economy continues to grow so too will the burden and punishment on the runway pavement and a robust resilient concrete pavement will be essential to carry the airport into the future. Concrete pavements have a long life of forty years, a competitive initial cost and have the lowest cost of maintenance during their life making them the most commercially attractive option. Concrete pavements are gentle on the environment with the local cement and concrete industry maintaining high standards of control in production, energy consumption and waste and when the pavement has finally come to the end of its life it is able to be completely recycled into a new pavement. The runway is the most important aspect of an international airport. It’s the first to safely greet an international traveller under the full range of adverse weather conditions and it’s the last to bid a safe farewell to our visitors. It works under sun, rain, heat and frost and it constantly supports the repetitive impact of a 500 tonne A380 aircraft. Concrete is the economic, durable and robust choice for runway pavements and is a vital foundation to create Australia’s international gateway at Badgerys Creek. Concrete creates key world class infrastructure assets that will serve the nation and drive Australia’s economy forward. Concrete is an essential investment in our future. Want to know more about Concrete Runways? Click here to view the Market Information Sheet on Airport Runways.